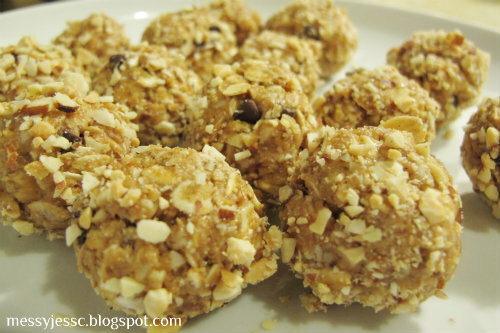 I have made this amazing snack three times, but because they are a big hit in our apartment this is the first time I have been able to snap some photos of this popular (with Jesse) recipe to share with you. They take a few short minutes to make, and sometimes even fewer to consume. I like to pop a few before and/or after a workout (hence my nickname of Balls of Energy). Jesse eats them like candy...but at least they are healthy, so I guess I can't complain. 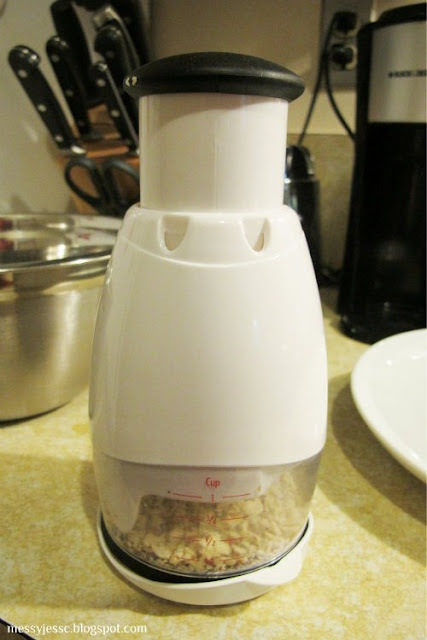 takes no time at all (no, I am not endorsed by slap chop, we just happen to own two of them and use them all of the time for all sorts of recipes). 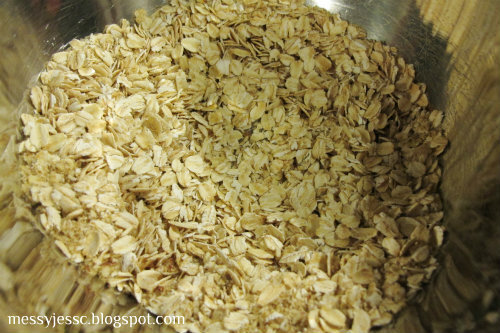 Once you have all of your ingredients on hand, mix together the oats, almonds, flax seed, chia seeds (if using), salt and cinnamon in a large bowl and stir. 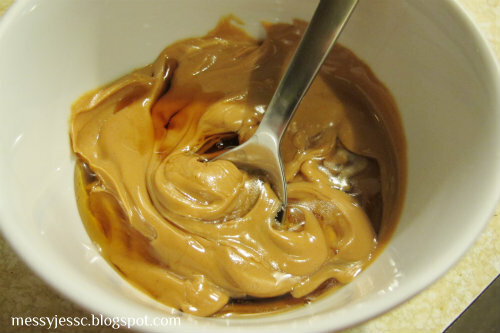 Next, melt your peanut butter in the microwave for about 30 seconds and allow it to cool slightly. 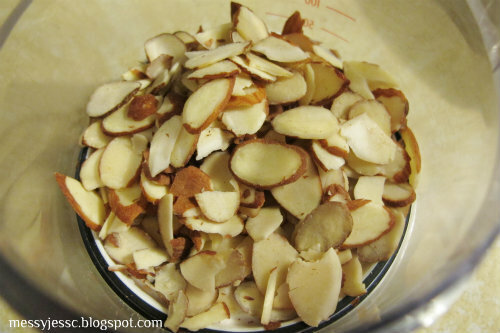 Once it does, stir in the honey and vanilla extract until it's combined. 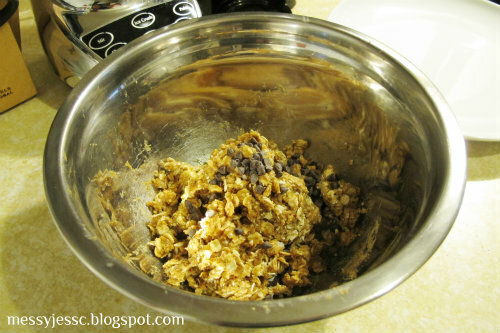 Next, pour the mixture over the oat mixture and mix well with a spoon, eventually bringing everything together with your hands. Once everything is sticking together, fold in your mini chocolate chips. 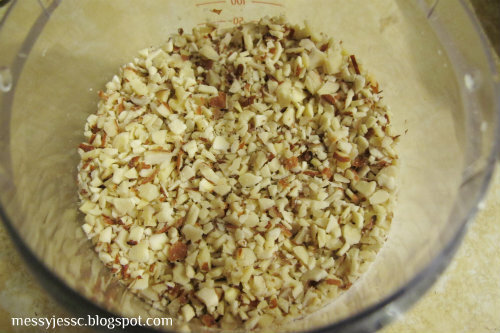 Roll this dough into golf ball-sized (or slightly smaller if you are hoping to make them last just a little while longer) balls, and roll them in ground peanuts and/or almonds if you prefer. 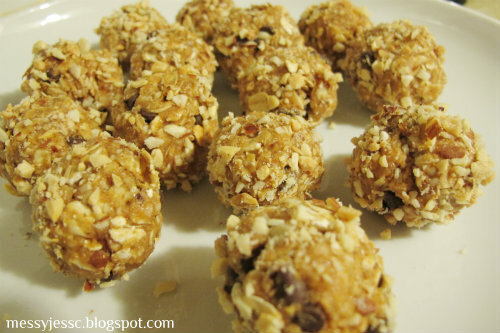 These can be enjoyed right away or after they sit for a few minutes in the fridge. Either way they are delicious and mostly nutritious. Any by the way, I only made this batch the other day and they are already gone...time for batch four. 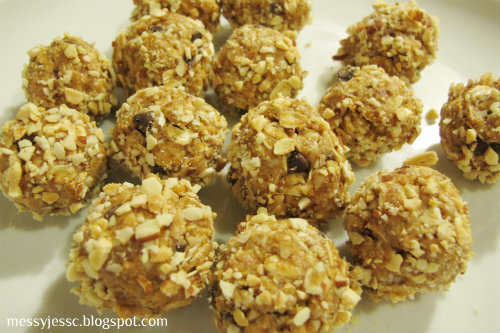 Find the recipe for this and other delicious snacks on my What's Cookin' page. I definitely require chocolate, but if you can't find the minis, I'm sure a few large chips would work too. Hope you like these as much as we do! Have a great week Heidi!